You’ve tried the coffee shop, you’ve tried Panera, you’ve tried the library… it never quite works out, does it? Whether you work for yourself or simply work remotely from home, finding a good work environment is never easy. 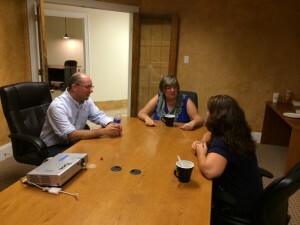 Wake Forest Coworking is here to help, by providing a community-oriented workplace for independent workers. What do we mean by community-oriented coworking? We aim to give people a place to connect socially – you won’t be best buddies with every single member, but you will get to know your fellow coworkers, whether it’s using our shared workspace area, or simply going to lunch at one of the many great restaurants around town. By getting to know your fellow members, you’ll be in a position to give and receive help when you need it. Looking for a new accountant? Need a great graphic designer or copywriter? Coworking connections help foster that ad-hoc collaborative process, while not forcing you in to traditional work roles. 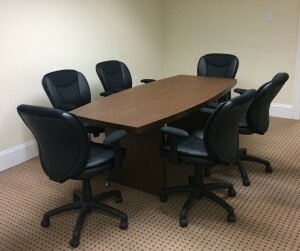 Our facility offers both open shared coworking space as well as private locked offices, as well as a shared conference area with projector for larger meetings and work sessions. Of course, free wifi and coffee, tea and drinks are included! Within a few blocks, take your pick from Over the Falls, White Street Brewery, Forks Cafeteria, Hardee’s, Las Margeritas, Backfin’s Crab House, The Old English Tea Room, Cannizzaro’s Pizza, Wake Forest Burger Shop, Domino’s Pizza, Lumpy’s, Wake Forest Coffee, Shorty’s Hotdogs and La Foresta Grill. Free parking means never having to fumble for change, circling the block 5 times, or worry about moving your car to avoid a ticket! 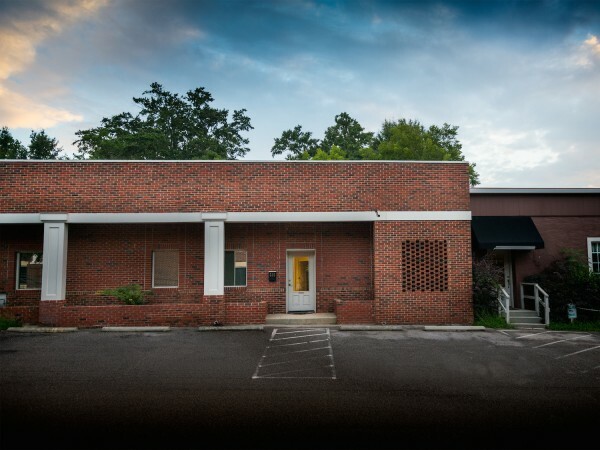 Parking is provided in the spaces across from Warren, Shackleford & Thomas PLLC, in addition to Brooks street, as well as on S. White street next to the Wake Forest Chamber of Commerce. Right now! We’re open for business and looking to have independent and remote workers like yourself join our community! 24/7 access means you can get work done whenever you need, on your schedule. Our drop in shared desk space starts at $99/month, with no long-term contracts. Read all about our membership levels.